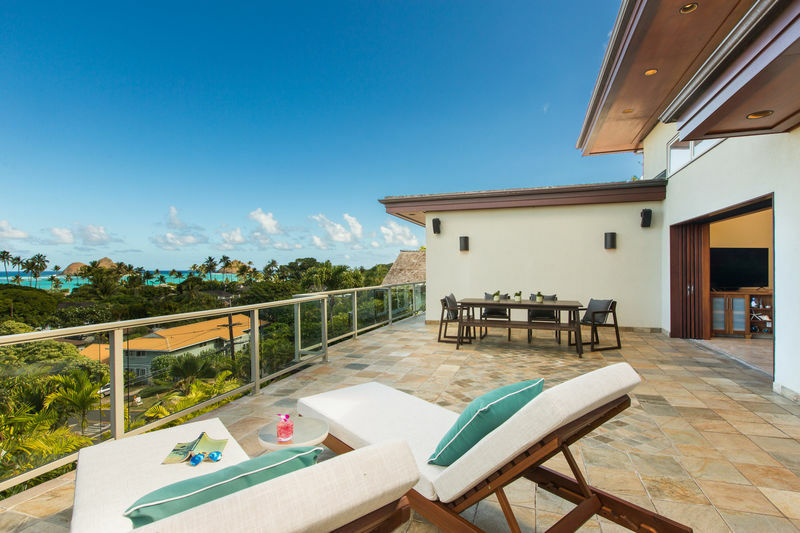 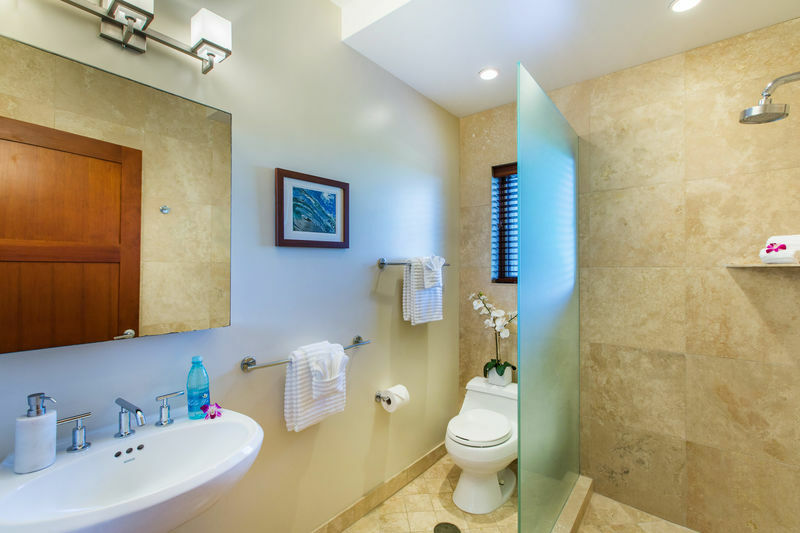 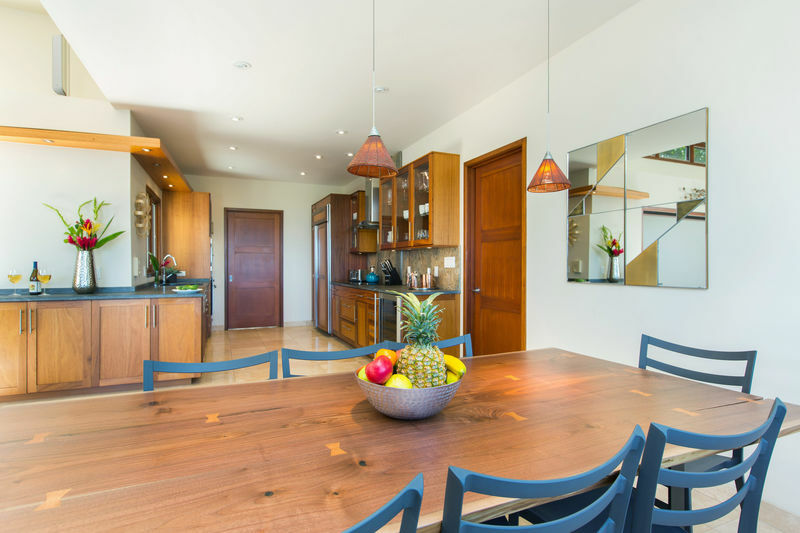 Lanikai Hillside – Luxury Vacation Homes, Inc.
Nestled on a lush mountainside in Lanikai, just one block from Lanikai Beach, you will find Lanikai Hillside: a two-story modern and luxurious masterpiece. 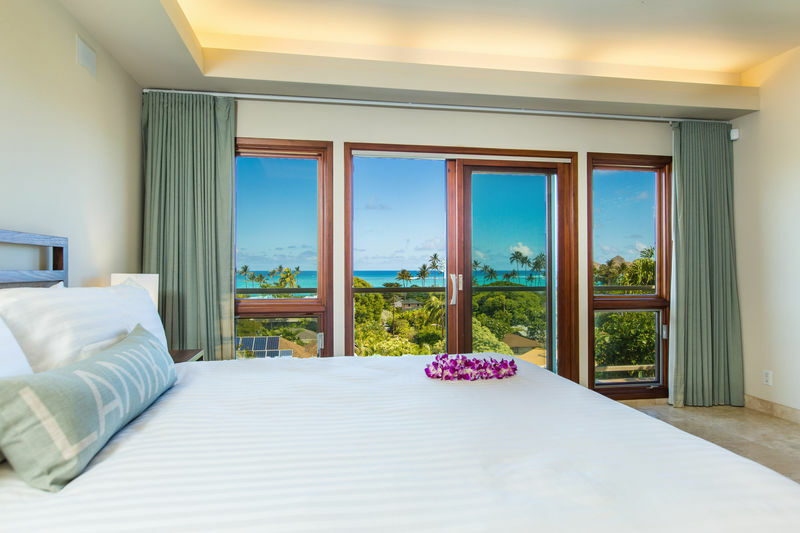 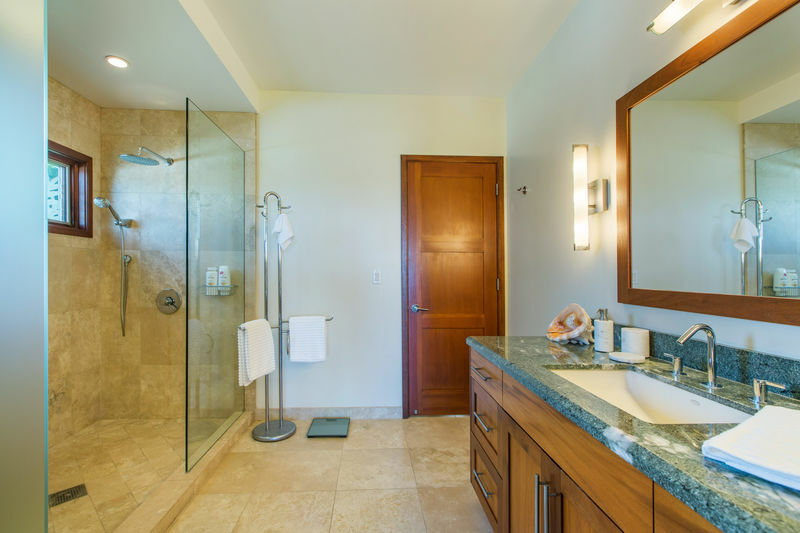 Lanikai Hillside embodies modern elegance, punctuated by Hawaiian touches throughout. 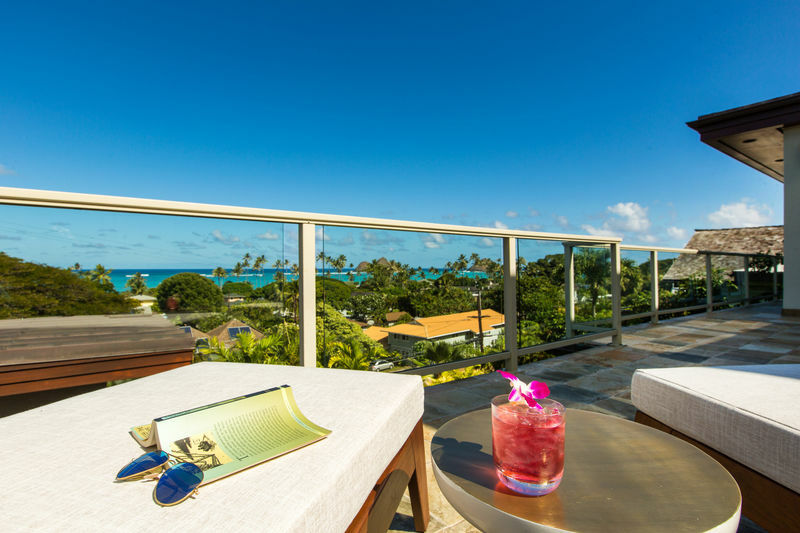 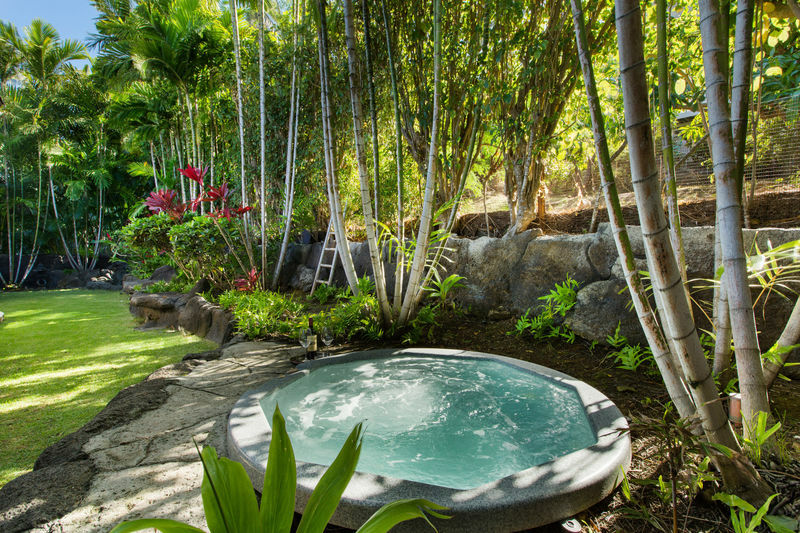 Set behind gates and back from street level, it is an intimate Hawaiian getaway. 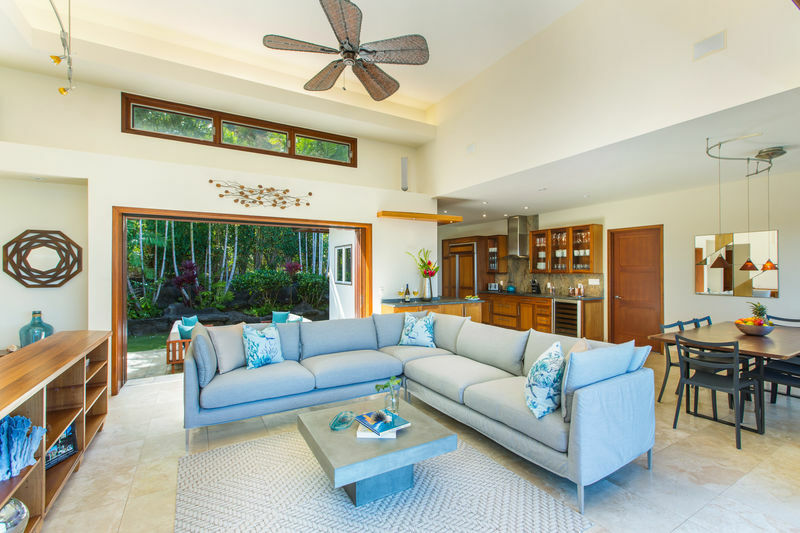 The villa includes every detail you will need to rest, relax and recharge – including a spacious, open floor plan, travertine floors, high ceilings and an elevator to the first floor. 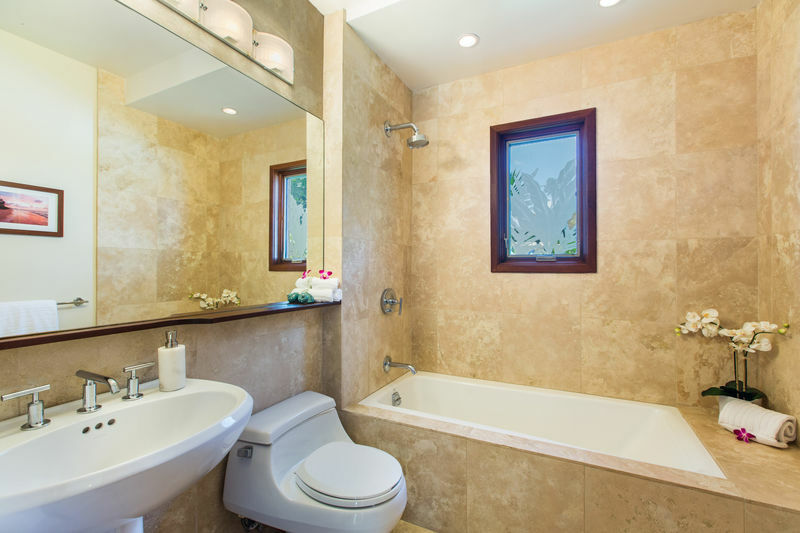 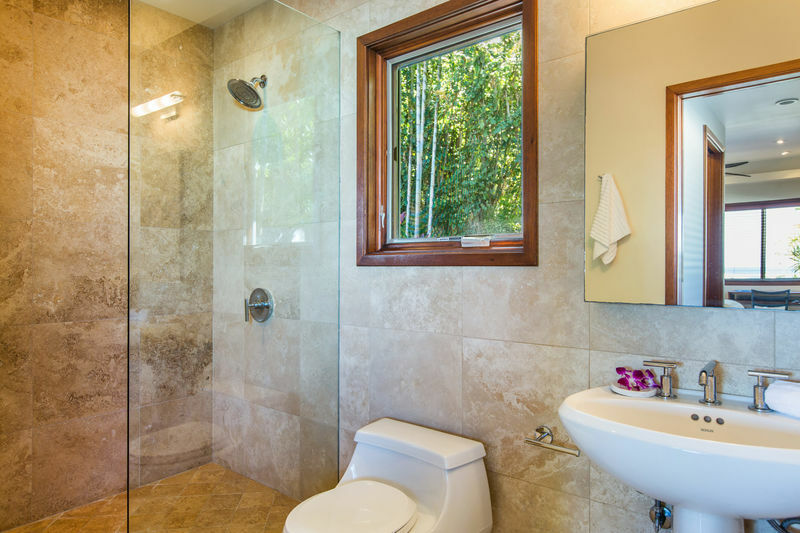 Spa-inspired bathrooms with stone detailing add the finishing touches to a beautiful, calming atmosphere. 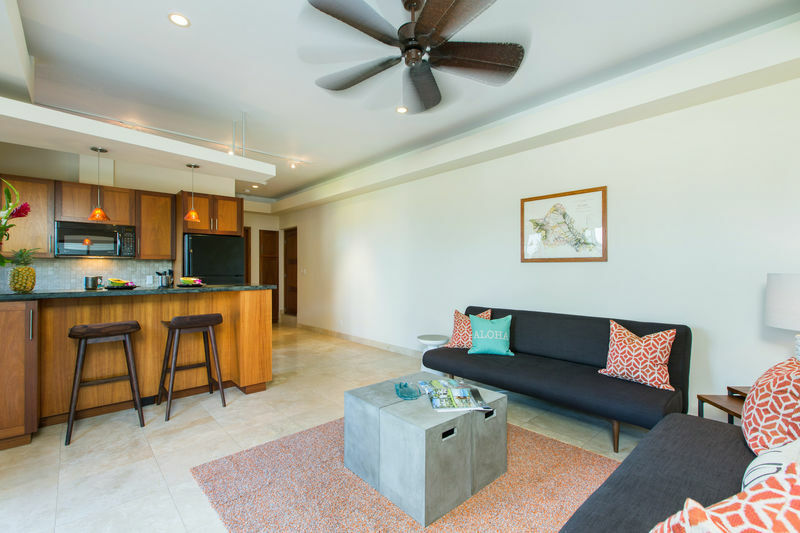 Entering the Villa on the first floor, you will find a bedroom, kitchen and a living room with two modern, new convertible sofa beds. 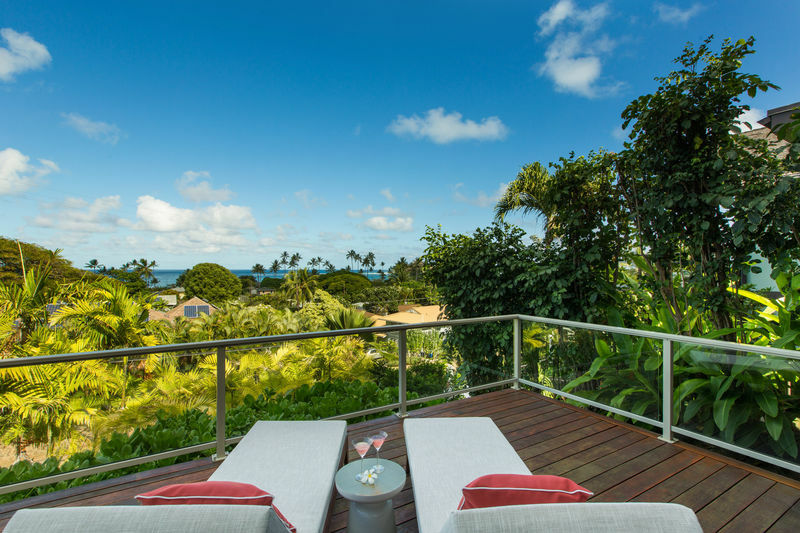 On the first floor lanai, the sweeping blue gradients of the ocean and iconic Mokulua Islands welcome you to your new vacation home. 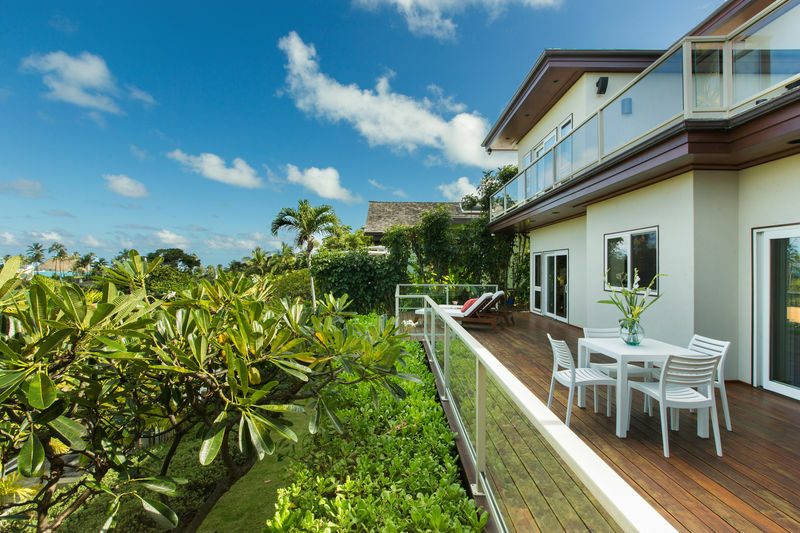 The main entrance to the home puts you on the second story, where you will find an even larger panoramic view of the ocean, as well as the gorgeous mountainside behind the Villa. 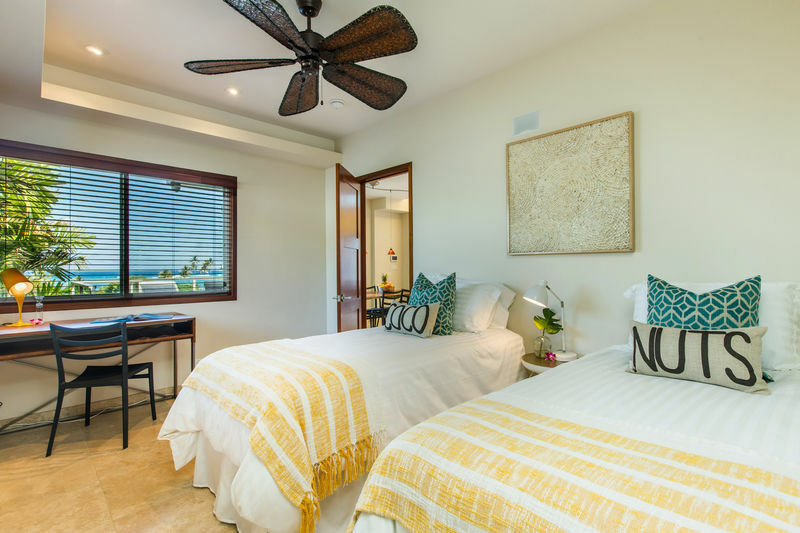 The master bedroom and twin bedrooms are found on the second floor. 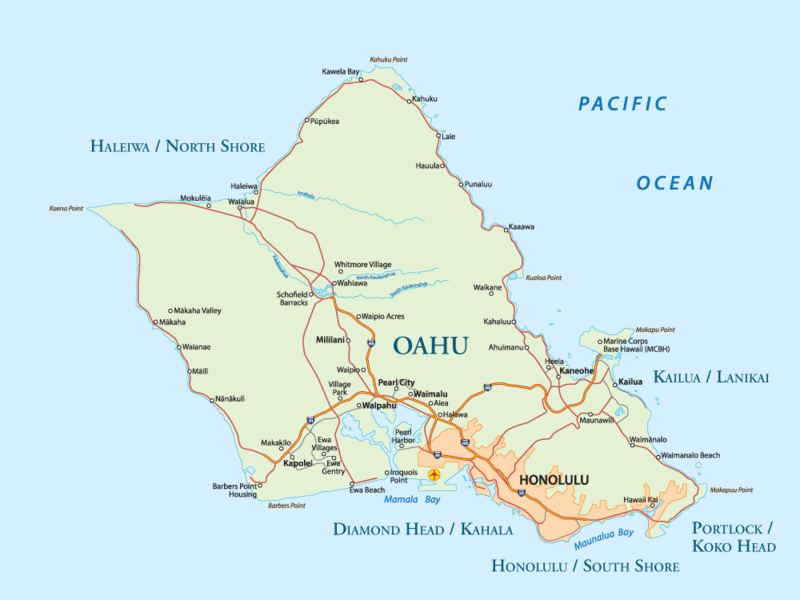 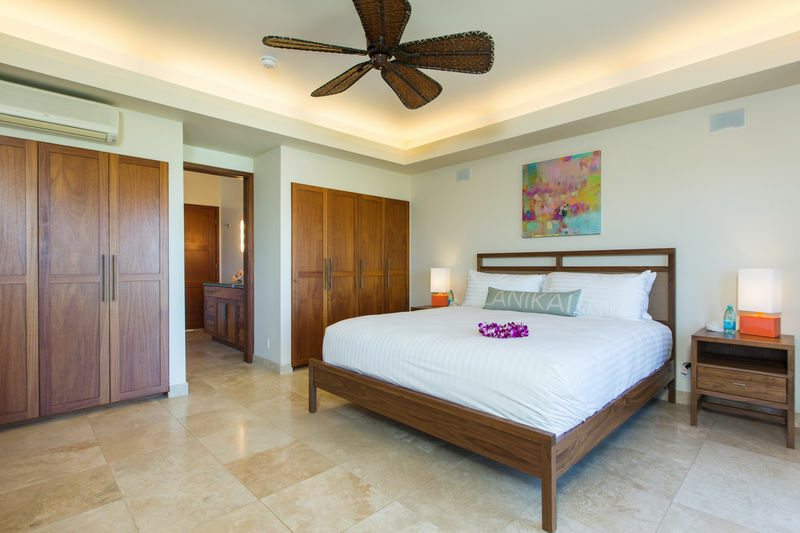 Overhead fans in every room creates an airy Hawaiian atmosphere. 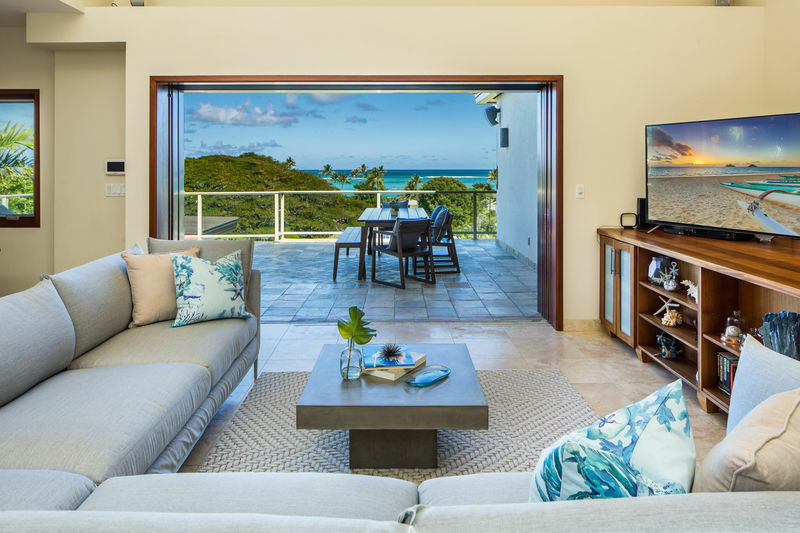 A flat screen TV, board and card games and books are provided in the living room, as well as a large comfortable sectional with mountain and ocean views from the comfort of the couch. 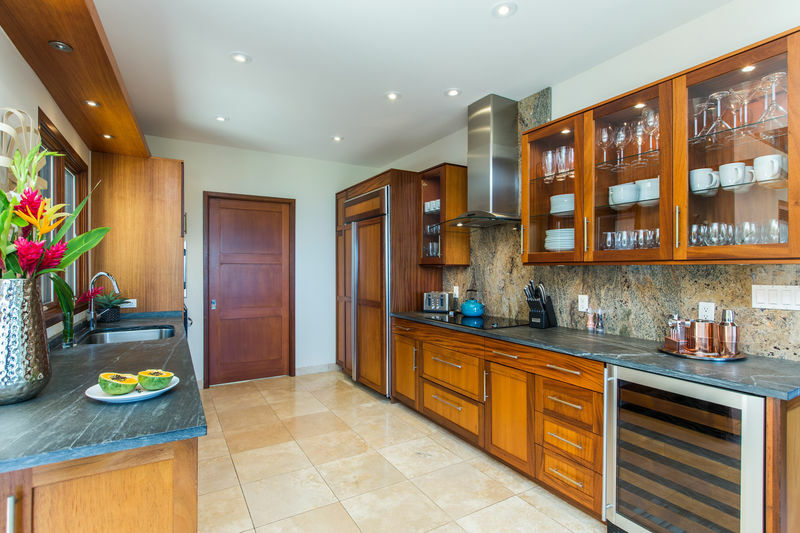 The spacious, gourmet kitchen offers granite counters, a pantry, new fridge, built in wine fridge, dishwasher, quality appliances and more. 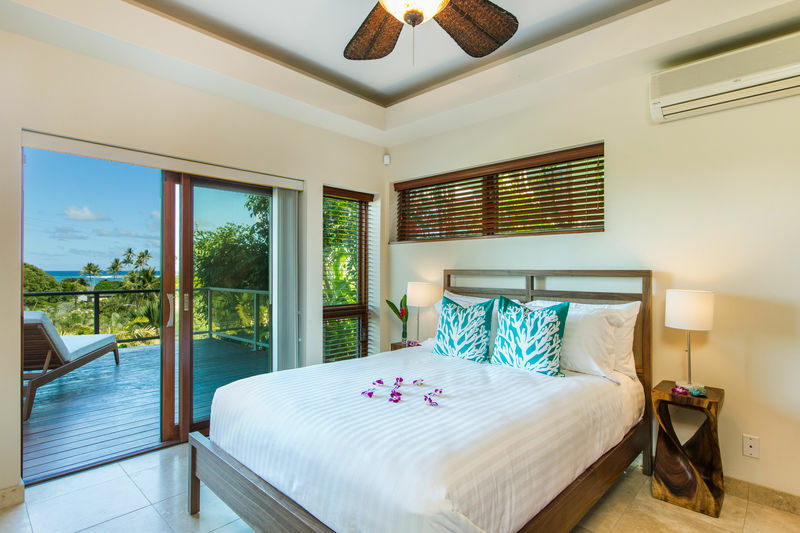 The upstairs master bedroom, twin bedroom, and downstairs queen bedrooms offer air conditioning for your comfort. 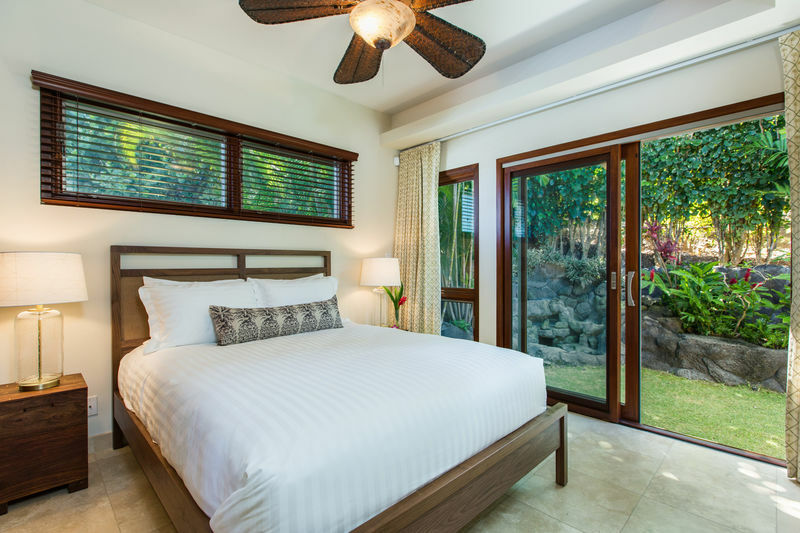 The entire house aims to pull the outdoor beauty of Hawaii into every space and view, with pocket sliding doors leading to the front lanai and back yard. 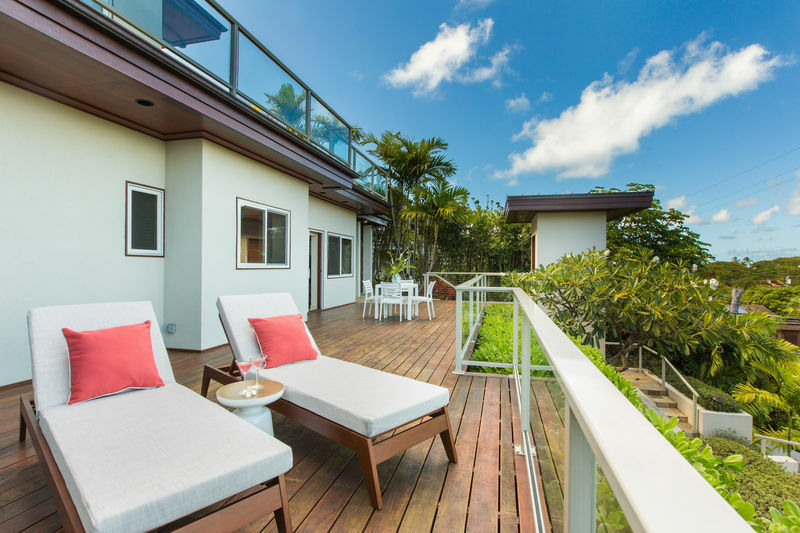 Out the back door is a serene, quiet grassy area to enjoy the Jacuzzi and spend time letting down in the outdoor entertainment area. 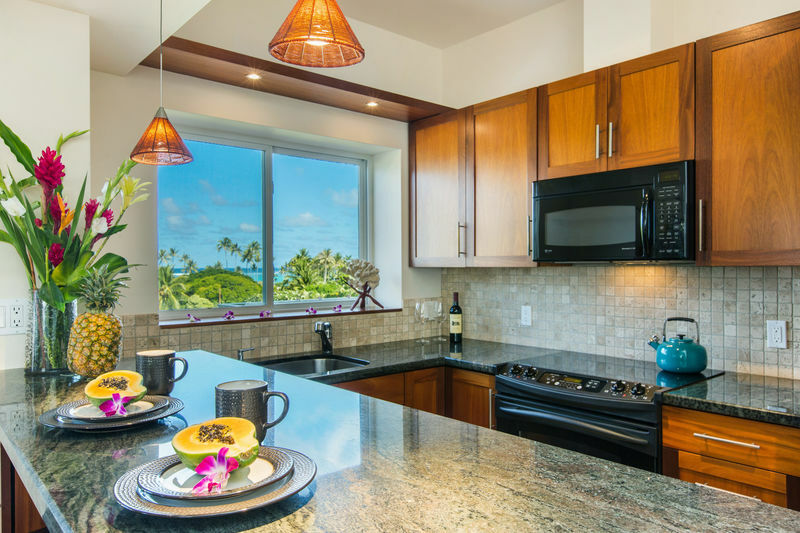 One block to the most coveted sandy part of Lanikai beach, where you can launch the stand up paddle boards or kayak provided for your use or go for a swim in the majestic blue waters.